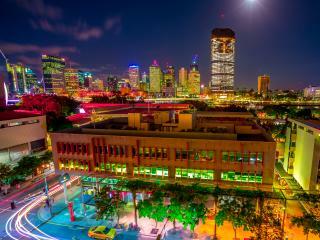 This Brisbane accommodation offers a convenient and popular location in South Bank. 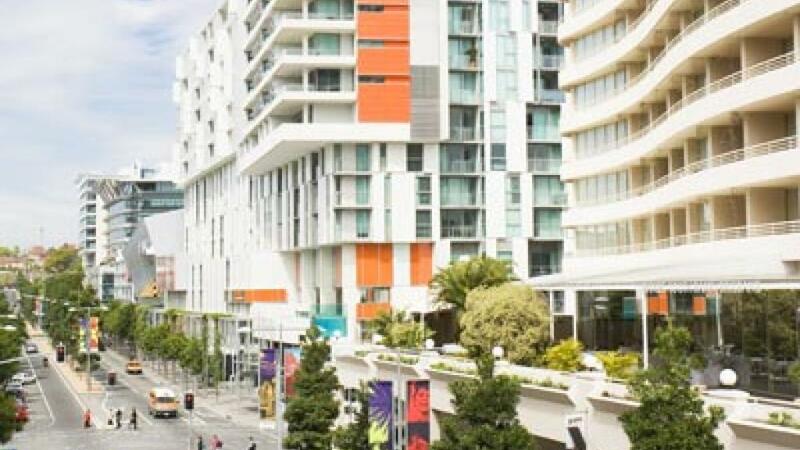 Mantra South Bank is within walking distance to Brisbane's vibrant CBD and a host of premier city attractions including the Qld Performing Arts Centre, State Art Gallery and the Museum. Brisbane's South Bank is also close by which is home to an artificial beach, a wide range of restaurants, pubs, entertainment and nightlife. 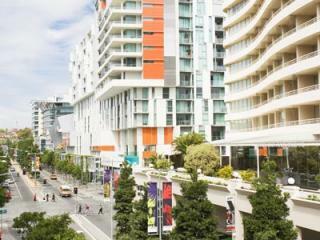 The Brisbane Convention Centre is also only a short walk away. 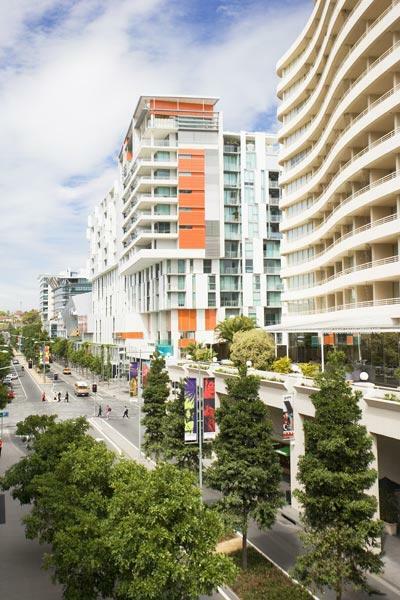 Mantra South Bank features Hotel Rooms, Studios and 1 & 2 Bedroom Apartments. This affordable Brisbane accommodation also features fantastic facilities such as an outdoor heated lap pool and spa and fully equipped gymnasium. 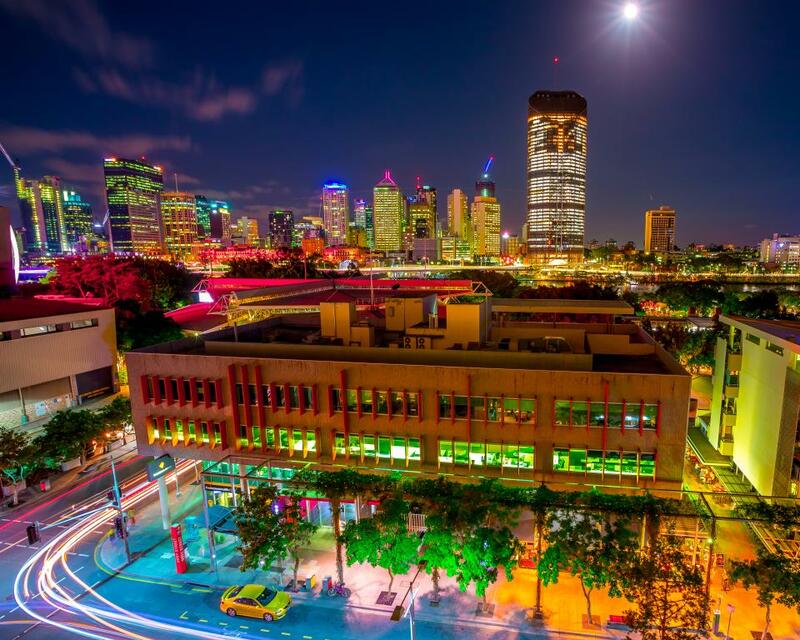 Mantra South Bank offers a fun vibrant location within close proximity of the local cosmopolitan restaurants and the popular alfresco cafe culture that thrives in Brisbane's West End. Mantra South Bank consists of 161 apartments that have been stylishly designed to offer guests maximum comfort and convenience. Standard Room: Room size is 30m². Studio: Featuring kitchenette facilities, the Studio room is ideal for a city visit or business guests. Room size is 36m². Studio City View: Featuring kitchenette facilities and views of Brisbane city. Room size is 36m². 1 Bedroom Apartment: Featuring a full kitchen including dishwasher, laundry facilities and private balconies. Room size is 55m². 1 Bedroom City View: Featuring a full kitchen including dishwasher, laundry facilities and private balconies offering city views. Room size is 55m². 2 Bedroom Apartment: Featuring a full kitchen including dishwasher, laundry facilities and private balconies. Room size is 88m². 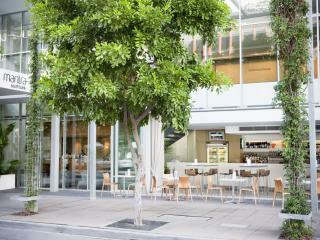 This is ideally situated to take in Convention Centre, Museum, Concerts and even stroll through South Bank itself. A lovely hotel. 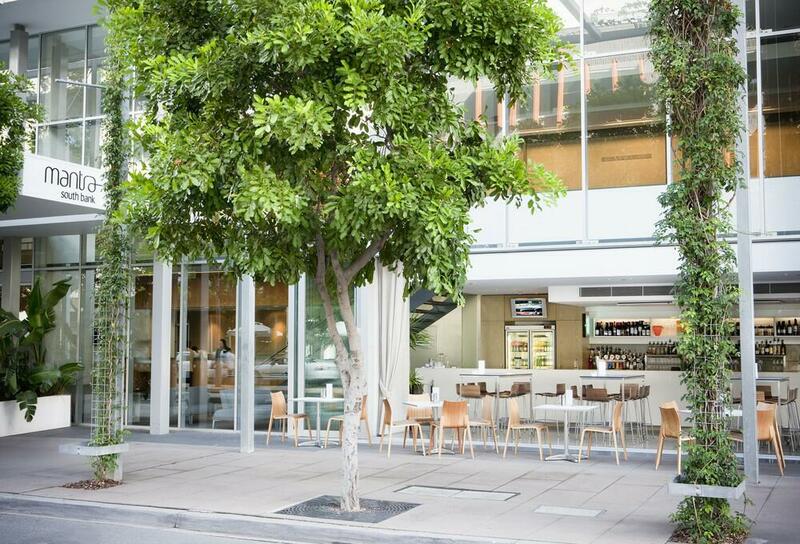 Perfect location to restaurants, Southbank esplanade, the arts & Brisbane CBD.